Shop open weekdays by appointment. GRADE A: Exceptional quartz with well defined gold patterns; used in the most expensive jewelry and jewelry containing diamonds. GRADE B: Excellent quartz with good veining pattersn. GRADE C: Good quartz with average gold veining patterns. 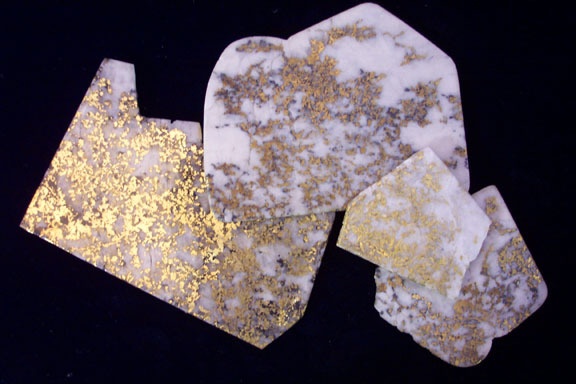 GRADE D: Average quartz with average gold veining patterns. GRADE E: Slab chips, blems, odd shapes and patterns.